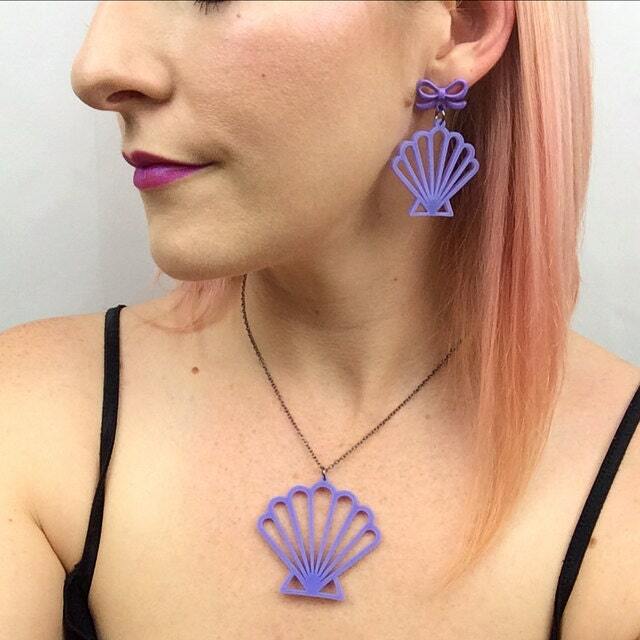 This set is perfect for any modern day mermaid! 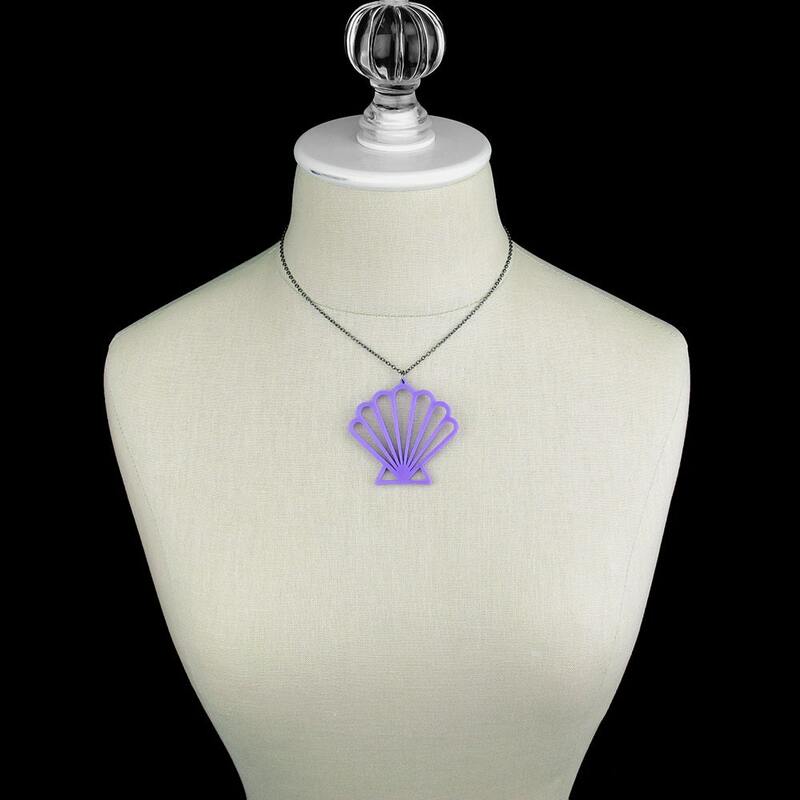 Especially if looking for that extra splash of lavender! 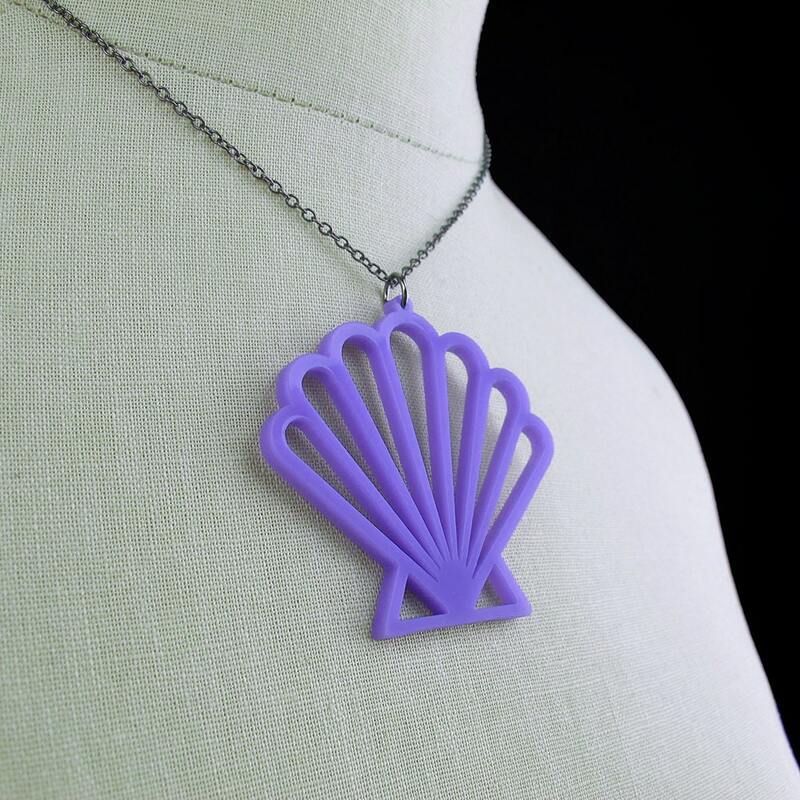 The scallop shells are made of 1/8" thick lavender acrylic so they are light weight and comfortable to wear! The earrings feature darling bow earring stud posts that include rubber backings.The necklace comes on a 16" chain with a 2" extender piece at the end making it adjustable up to 18". If you need a different length please let us know in the "note to seller" section of the checkout process or send us a message. 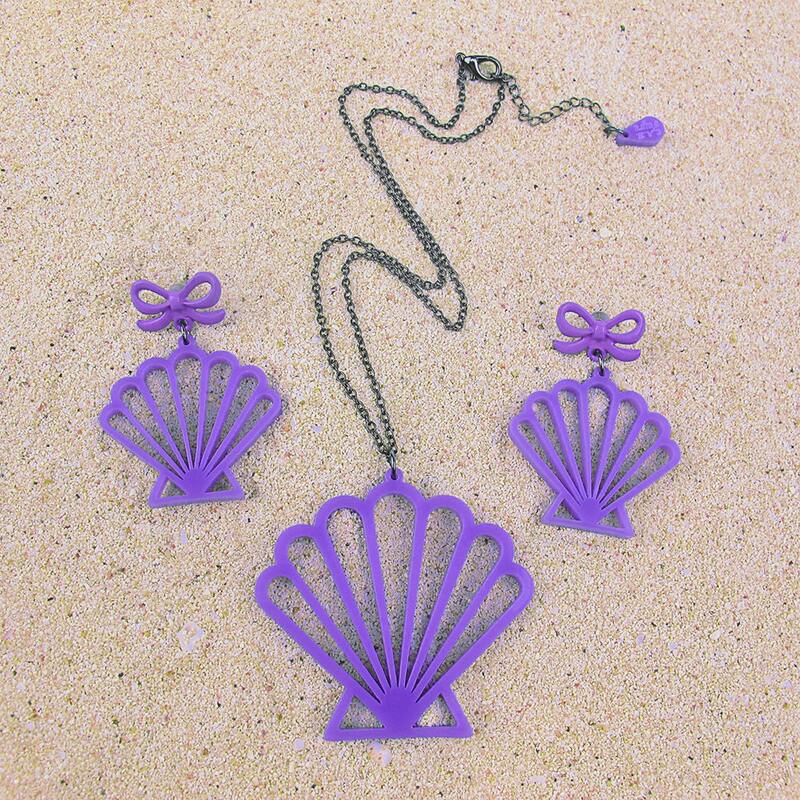 Earring Scallop Shell size: about 1.5" x 1.5"
Necklace Pendant Scallop shell size: about 2" x 2"